It has been on my mind to get to Washington DC and record a video at night of the some of the monuments but work has been so busy with deadlines and covering people who were on vacation, and working over my regular hours, etc., that I had zero energy after the workdays to actually GO to DC. Then I remembered I had printed photos of the last time I went to DC with my camera at night. Just thought I would share a couple or so. 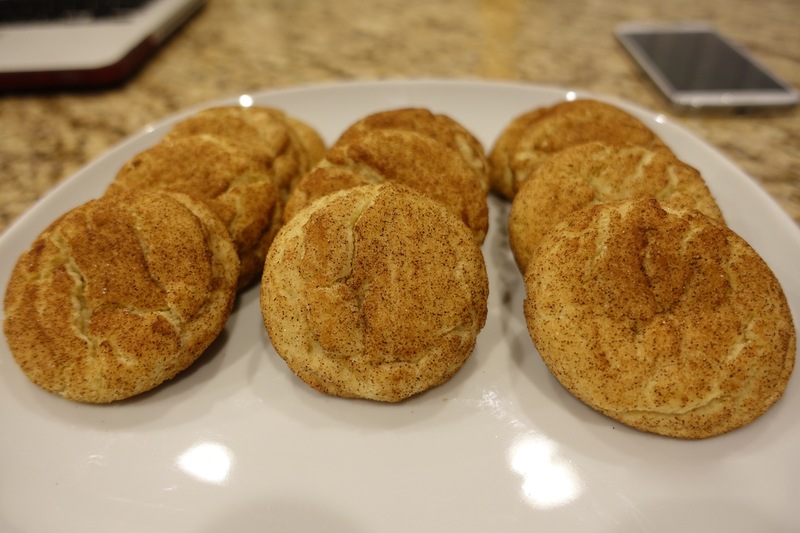 Snickerdoodles are an absolute favorite of the cookies that I make. Well, basically any cookie with cinnamon will be at the top of the list for me. This is a simple sugar cookie rolled in a mixture of cinnamon and sugar before going into the oven. The recipe took a couple of tries before I could make it an efficient workflow but I have tackled that now. After making the dough, I scoop it out of the mixing bowl and drop the dough into a glass of the cinnamon and sugar mixture. Then roll it around by the glass so the mixture isn’t really pressed into the dough, like if you rolled it on a plate where it’s natural to press down a little. Plus it’s less messy because I use small tongs to pull the cinnamon/sugar coated dough ball from the glass and place onto the cookie sheet. Follow close attention to the bake time by using a timer, which I do for all of my cookies. I’ve learned over the years to not guess on time. You cookies will come out perfectly. A little crisp on the outside and soft and chewy on the inside. Store them in a ziplock bag to keep them from getting crunchy overnight. I don’t like fighting to get a bite of my cookies. Because of the cinnamon, I would probably choose a snickerdoodle over a chocolate chip cookie. Shhhhh! Don’t tell anyone. I use this recipe from AllRecipes.com called Mrs. Siggs Snickerdoodles. We got at least 25 inches of snow here last weekend. Yes, it’s winter and winter brings snow. 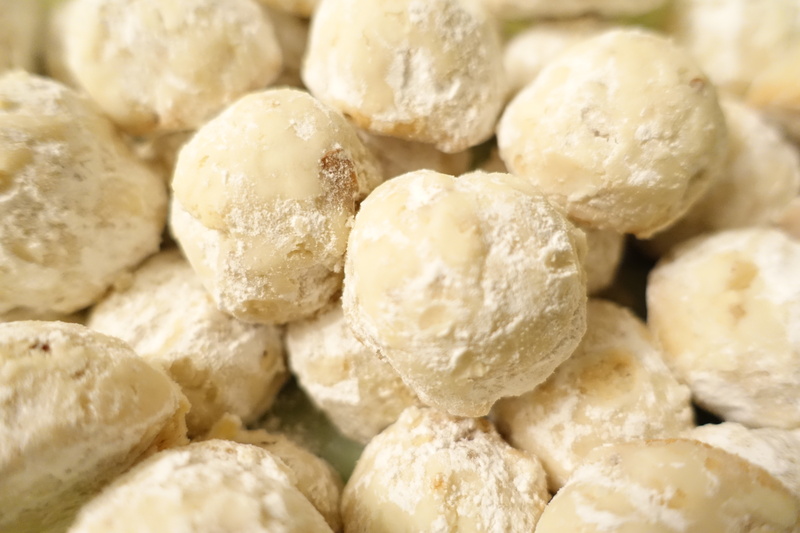 So, let’s have snowball cookies. These cookies seem to have different names: Mexican Wedding cookies, Russian tea cakes, or snowballs. Whatever you want to call them, they are so good! They are easy to make and the recipe makes about 5 dozen cookies. Then I remembered how messy they are because it has powdered sugar in the recipe. Rolling the cookies in the powdered sugar when they’re warm, and then again when they’re cool…..a mess. But when I am finally finished baking and get to pop one in my mouth, none of that even matters. Here’s the recipe. Have fun and enjoy! Cream together butter, powdered sugar and vanilla. Mix in flour, nuts, and salt. Roll about 1 tablespoon or so of dough into balls. Bake for 11-12 minutes. Do not over bake. While warm, roll the cookies in powdered sugar. Let the cookies finish cooling, then roll them in powdered sugar again. Enjoy, or store in airtight container. 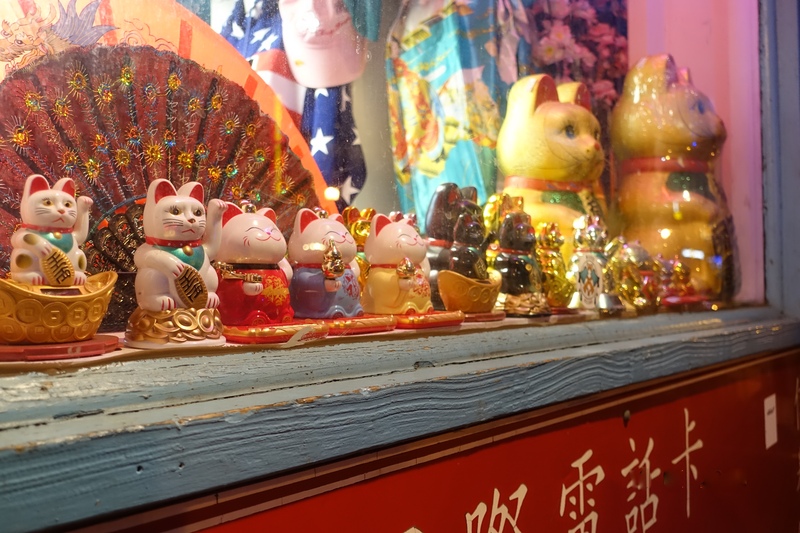 While walking through Chinatown (in DC) one day, I stumbled upon this colorful collection of cats in a display window. 51 Random Things I am Thankful For…. What random things are you thankful for this Thanksgiving? 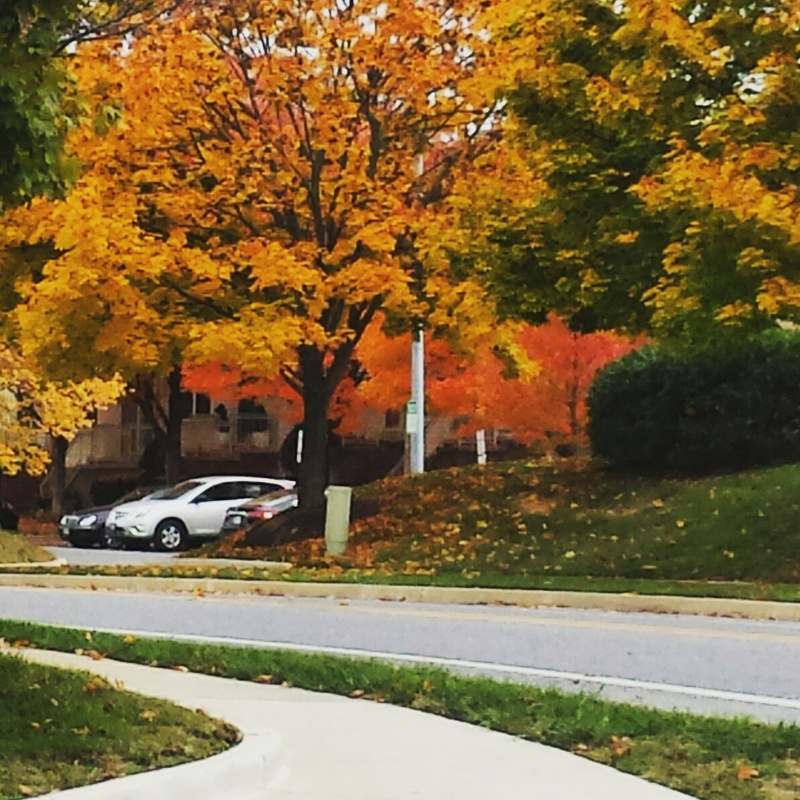 Capture: What is your favorite season?